Preheat oven to 180⁰C. Lightly grease muffin tin or small baking dish. In a large bowl lightly beat eggs. 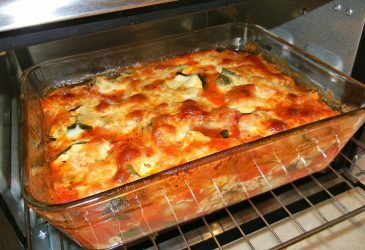 Add zucchini, onion, self-raising flour, cheese and oil. Combine gently till well-mixed. Season with salt and pepper. Spoon mixture into well greased muffin tin or baking dish. Bake for 12-15 minutes (muffin tin) or 20-25 minutes (baking dish), until centre springs back when lightly pressed. Cool 5 minutes then remove from muffin tin. These are great in the lunch box, and can be frozen then pulled out as needed. Try different combinations of cooked vegetables, like mushrooms, sweetcorn, chopped broccoli.